Ms. Provensen and her husband, Martin, formed an illustrating team that was famous in the world of children’s books. The most acclaimed book they both wrote and illustrated, “The Glorious Flight: Across the Channel With Louis Blériot July 25, 1909,” about the French aviator who made the first flight across the English Channel, won them the prestigious Caldecott Medal in 1984. NEW YORK — Alice Provensen, who illustrated and often wrote books for children for more than a half-century, helping young readers learn about animals and aviators, poems and presidents, Aesop’s fables and Chinese legends, died April 23 in San Clemente, Calif. She was 99. Her daughter, Karen Provensen Mitchell, with whom she had lived since 2008, confirmed the death. For almost 40 years, Ms. Provensen formed half of an illustrating team that was famous in the world of children’s books. Her husband, Martin, was the other half. Together they illustrated dozens of books for young and very young readers, beginning in the 1940s, and as their careers advanced they wrote many as well. 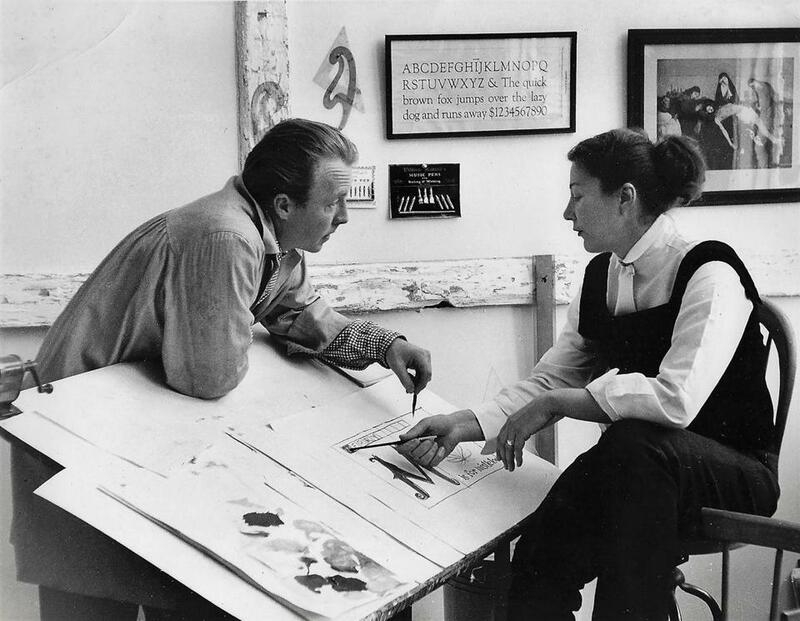 After Martin Provensen died in 1987, Alice Provensen was hesitant to continue her career. But her daughter and an editor friend encouraged her, and she continued to write and illustrate into this decade. Alice Rose Twitchell was born on Aug. 14, 1918, in Chicago. Her father, Jay, was a produce broker, and her mother, the former Kathryn Zelanus, was an interior decorator. She grew up in Chicago and Los Angeles, graduating from Hollywood High School in 1935. She studied art after that, though she did not earn a degree, instead improving her skills on her own. In 1938 she married actor Lionel Stander; they divorced in 1942. By then she was doing animation work at Walter Lantz Productions, which had introduced its popular character Woody Woodpecker in 1940. The job would have usually been filled by a man, but she landed it, she said, because so many men were in the military. Martin Provensen was animating Navy training films at the Walt Disney Studios nearby. They met in 1943 and married in 1944. After the war they moved to Washington, where a friend helped them break into the book-illustrating business. The first book they illustrated, the “Fireside Book of Folk Songs” (1947), was a hit, catching the emerging folk-music wave. They illustrated a number of volumes in the Little Golden Books series for young children. After living in New York City for a time, they bought a farm in the Hudson River Valley and started creating their own books, some of them based on their home life. “The Year at Maple Hill Farm” (1978) was a particularly popular title. The books they illustrated and wrote covered a wide range — educational, fictional, biographical, historical. They liked to travel to research them, and did so for the most acclaimed book they both wrote and illustrated, “The Glorious Flight: Across the Channel With Louis Blériot July 25, 1909,” about the French aviator who made the first flight across the English Channel. It won them the prestigious Caldecott Medal in 1984. Two years earlier, a book by Nancy Willard that they had illustrated, “A Visit to William Blake’s Inn: Poems for Innocent and Experienced Travelers,” had won another prestigious prize, the Newbery Medal. The Provensens had similar artistic styles and tastes and worked in such a way that their individual contributions were hard to discern. The Provensens’ artwork was not easily characterized. It might have a primitive sort of Americana look in one book but suggest expressionism or impressionism in another. After her husband’s death, Ms. Provensen not only carried on but also became even more adventurous in the types of projects she undertook. That was especially evident in the first book she wrote and illustrated after his death, “The Buck Stops Here: The Presidents of the United States” (1990). It had an intricately illustrated page for each president that suggested his career highs and sometimes lows. Buckley especially admired the rhyming couplets that Ms. Provensen devised for each commander in chief in her countdown, calling them “wee masterpieces of concision that manage to boil down each president to a felicitous and memorable quiddity.” They were light, but they did not shy away from harsh realities. A 20th-anniversary edition brought the chain up to Barack Obama. In addition to her daughter, Ms. Provensen leaves two grandsons.